Classroom Management Online Course for Teachers - Get New Strategies! Start using creativity and hands-on learning. Stop stressing about classroom management. This course has been revamped and is now worth 25 PD hours! Please note: Pricing will increase to $199 on May 1, 2019. Hands-on learning is exciting, but it can quickly turn into complete chaos without the right classroom management strategies, routines and supports. How can you make sure that students are really learning and not just making a mess? This online course was designed for passionate educators who want to use arts integration or creative strategies in their classrooms, but are worried about how to manage such an active learning environment. You can start or complete this course at any time – lifetime access is included. You’ll be equipped with specific classroom management strategies for using group, individual student and teacher workspaces. The Arts Integration Classroom Management Online Course walks you through exactly what you need to create a classroom environment that is inviting, managed, and supports all learners. So you can focus on teaching and not managing. Filled with specific examples, strategies, and valuable time-saving templates — it will help you make your dream classroom a reality. This course is chock full of templates, resources, idea sheets and even maps for classroom design. All as a way to save you time. These are all INCLUDED in your course purchase! Need even MORE ideas for classroom management strategies? This resource guide provides actionable ideas and strategies for K-12 classrooms using arts integration and STEAM. Split into grade bands of K-5, 6-8 and 9-12, this resources offers tips based on the level you’re teaching. Great classroom management strategies also include an opportunity for some brain breaks. Here’s our collection of favorites – proven winners as voted on by our students! At the completion of the course, each participant will be provided a certificate of professional development for 25 hours, often suitable for district CEUs and recertification needs. Please check with your school or district on the transferability of PD hours into CEU credits. Want to know what a lesson is like? Try out this sample video lesson and see for yourself why thousands of teachers have taken this course. Amanda Koonlaba, Ed. S. is an educator and educational consultant with over 12 years of experience teaching both visual art and regular education. Her career has been driven by the power of the arts to reach all learners. She is a published author and frequent speaker/presenter at education conferences. 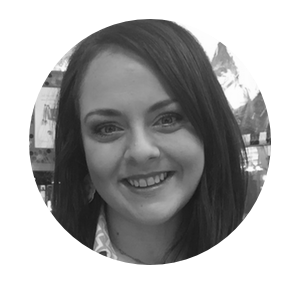 Amanda was named the Elementary Art Teacher of the Year for the state of Mississippi in 2016 and received the Arts Integration Service Award from the Mississippi Whole Schools Initiative (Mississippi Arts Commission) in 2015. She holds an Elementary and Middle Childhood Art certification from the National Board for Professional Teaching Standards. Amanda is on a mission to ensure every student in America has access to a high-quality arts-based education. Stop struggling. Get the classroom management strategies you need to transform your teaching and include creative learning! HAVE QUESTIONS OR NEED HELP ORDERING? We invite you to participate in any course for 30 days and access all that we have to offer. At the end of 30 days, if you don’t feel that the course fits your needs, we’ll happily refund 100% of your money. We’ll ask for your completed course work (to make sure you gave it a try) and ask what didn’t work for you (so that we can learn and improve). If you commit to the work and don’t get the value, then we don’t deserve your money. We want you to feel totally comfortable taking this professional development course. So if you still have some questions, we’ll be happy to answer them! View all FAQ here. WILL THE PD HOURS COUNT FOR MY SCHOOL/DISTRICT? In most cases, yes! We can provide you with a certificate of hours from our organization, based on the contact hours of the course. The majority of schools and districts accept these certificates and count them towards professional development hours. We always advise you, however, to check with your own institution before taking a course – just to be sure! None of these courses are offered with graduate credit or are affiliated with an institution of higher education. However, we do work directly with state departments of education to ensure that these professional development hours meet their requirements and high-levels of learning expectations. As such, in almost all cases, these courses can be used for continuing education requirements. CAN I USE A PURCHASE ORDER? WHAT IF I HAVE A GROUP? School districts MAY use a purchase order – please contact us for more details and let us know which course you are interested in. Group rates are available for groups of 3 or more. Please use this group registration form to receive your discounted pricing. This course is self-paced, meaning you can go as quickly or as slowly as you need. We know that while you may have specific intentions for how you’ll go through your course, life can sometimes have other plans. That’s why you can take any course at any time. You’ll never have to worry about falling behind or getting registered for credit in time. Work at your own pace in your own way. We have a great team of people who are here to support you all of the way. If you run into an issues, or even if you just need a sounding board for an idea – we’re just an email, phone call or text away.